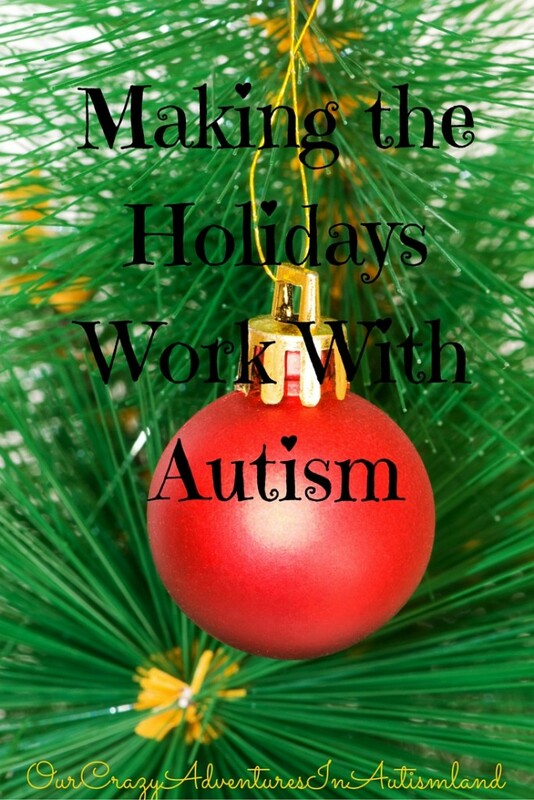 Making the holidays work with autism can be quite a daunting task. When you have a child with autism, you often have to make tough choices. During the holidays , this becomes more prevalent. If you let too many activities and events take over then you end up with meltdowns and sensory overload. This makes for the worst Christmas memories. It’s not fun, believe me. You have to be bold and courageous to do what your child needs regardless of what everyone expects of you, especially other family members. For many of the early years, we only celebrated the holidays at home. It was more important that Logan feel comfortable in his surroundings with a place to retreat when it got to much for him than it was for us to join all the celebrations. If you wanted to see us for Christmas, you simply came to us at our home. We did not attend any celebrations outside of our home. Yes, the celebrations were still there. We didn’t ask people to stop having celebrations simply because we were stuck in autism hell. We politely declined the invitation. To every last one of them. Family or non family was irrelevant. We didn’t go no matter how guilty we were made to feel . Usually, family was the worst at making us feel like we were being silly in not attending. Sometimes it became overwhelming to know that everyone was having a great time without us. To say that our feelings got hurt during those dark years would be an understatement. We were grateful to be invited but sad to see others having so much fun that we were missing out on. 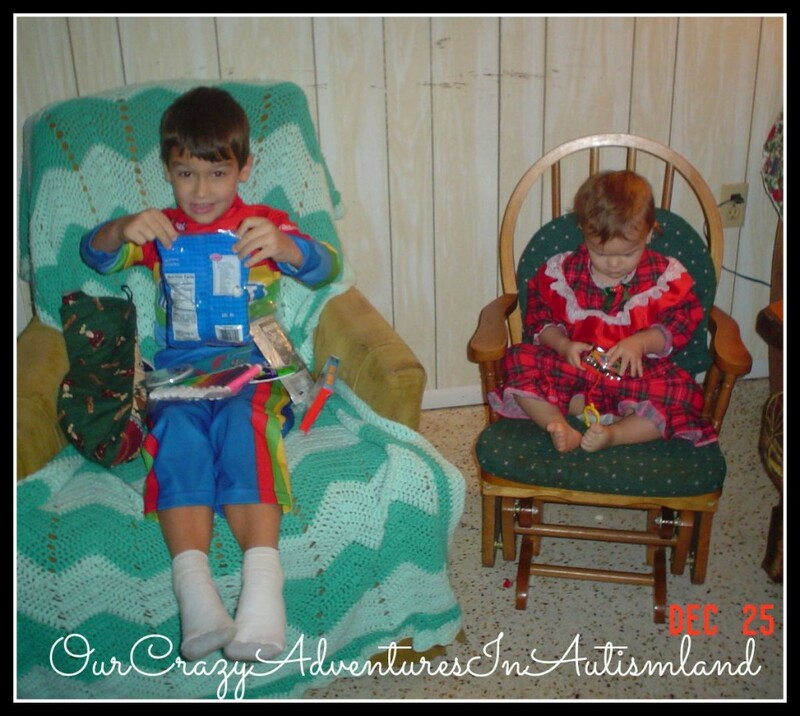 Logan was unable to navigate the holidays and all the sensory overload that it entailed. The twinkling lights bothered his eyes. The loud noise of people talking, decorations chiming and other children squealing with delight were enough to send him into a tailspin. The uncertainty of not knowing what was happening next , having to navigate unfamiliar social scenes as well as the surprise of what was in the present became overwhelming to him. We were forced to accept his limitations in an effort to make it successful for him. Being a parent means that even when you want to go and feelings are hurt because you didn’t go, you still make the hard decision to do what is in the best interest of your child. Being a parent of a child with autism means that you make those decisions more often than not. 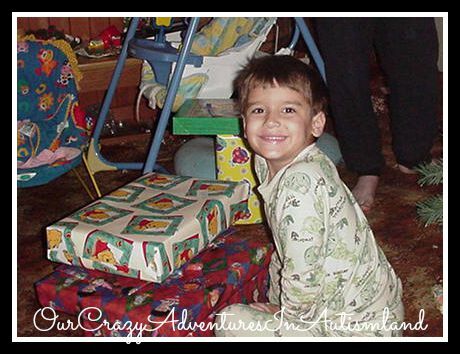 You learn quickly as an autism parent to have a tough exterior as well as how to be firm in your stance. I am able to say that, after a few years, it got easier. We had some close friends and family that accepted our decision while deciding to make it work. They graciously started to come to us to celebrate the holidays without hesitation. They accepted that we knew our child best so they worked within our limitations. Some did out of generosity while some did out of necessity. We always had someone balk when we stuck to our guns and wouldn’t go to them or leave the house on Christmas Day. We were firm and loving. Ok, we were always firm. I’m not sure we were always loving about it. Frustration has a way of making people react before they think. Not that it is an excuse for being unlovely. More of a justification for being less than lovely about having to say for the 4th year in a row that no we won’t be attending your Christmas Eve meal with all the cousins from Texas that Logan has never met. In the end, the rules we had to lay out to make the holidays successful for Logan made our holidays that much better. He thrived in his familiar surroundings. There were far fewer meltdowns because he could retreat to his room when it got to be too much. This made him a happier child which made us happier parents. He trusted us to put his needs first. We tried not to let him down which enabled him to trust us to do more and more with him. It made for fond Christmas memories instead of terrible ones. In the end, that’s all that matters anyway. We have some fun traditions that we still do even though they aren’t necessary. We continue to host the family get togethers. Now we do it out of tradition instead of necessity. 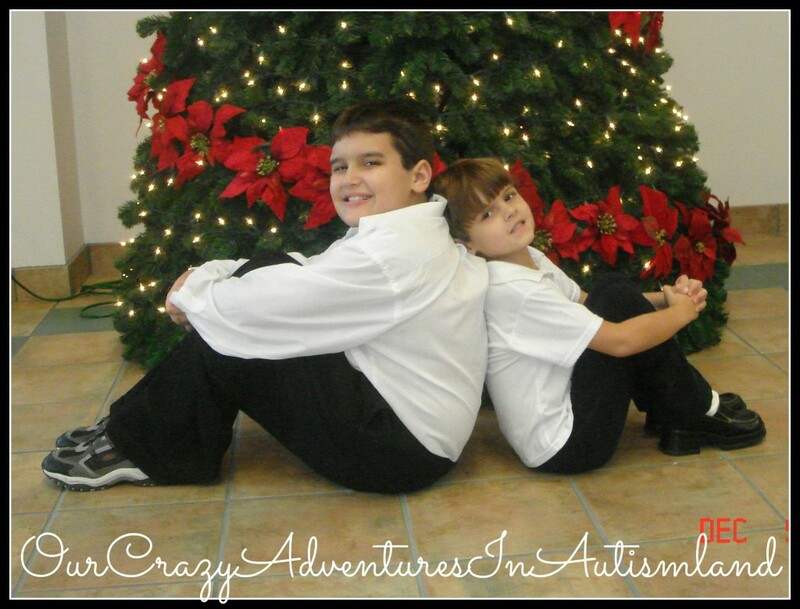 We may have started them because of autism but we do them now because we love them. That’s what I want Logan to remember about Christmas. Fun times making memories and traditions to pass on to his children. Autism or not, that is really what every parent wants in the end. In case you were wondering , here are our rules. We don’t need to stick with them as much as we did when he was younger. Do what works for your child. Be bold and courageous. Always, always, always put the needs of your child above other people’s feelings including your own. You will set the standard of trust with your child that will reap rewards in the future. No celebration is worth breaking your child’s trust even familial ones. We don’t deviate from the schedule. There is a time and an order for everything for a reason. If we have not prepared Logan for it then we don’t do it. We don’t go to other people’s houses where there are lots of noise or people that Logan doesn’t know. We also don’t go to houses full of other children regardless of their age or blood relation. We don’t open presents anywhere but at our house. This entails that if he doesn’t like it then he doesn’t need to navigate the social niceties of pretending he does while trying to self regulate the sensory overload of the season. We don’t open presents all at once. The noise from the paper bothers Logan. Not to mention that he can’t handle the surprise of not knowing what is in the package. Then there is the commotion of everyone talking and laughing at once. All that makes my skin crawl. I can’t imagine what it sounds like to Logan. We don’t leave our house on Christmas Day. When all else fails, remember Rule #1. We stick to the schedule and routine at all costs. If I am at odds as to what to do, I refer to Rule #1.